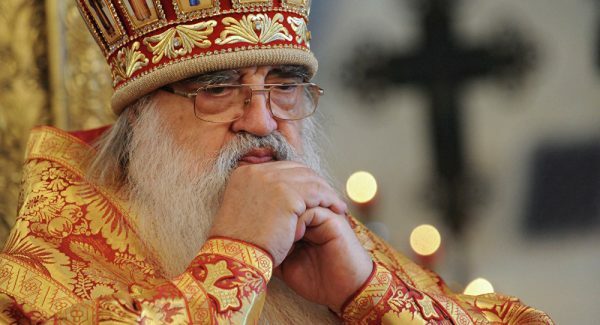 One of the most prominent hierarchs of the Orthodox Church, the Honorary Patriarchal Exarch of All Belarus is accepting congratulations on his 82nd anniversary. Being the holder of Hero of Belarus title, is an example of kindness and peacefulness, spiritual service to society and country. Honorary Patriarchal Exarch of All Belarus Metropolitan Filaret has been receiving congratulations today in his residence — in the Diocesan Administration of the Belarusian Exarchate, located in Minsk’s Rakovsky suburb. In due time as Chairman of the External Church Relations Department, Metropolitan Filaret did a lot for the brotherly peoples of the USSR to preserve spiritual relations, for the Orthodox Church to remain united regardless of borders. Providing an example of mutual understanding has been his mission from the 1990s, pursued in the multi-confessional and multi-ethnic Belarus. Filaret’s activities are the best example of establishing contact between the Church and state institutions. He has contributed to the revival of churches, monasteries, seminaries and academies, the return of such sacred objects as the Slutsk Gospel and Slutsk belts, the restoration of an Orthodox neighborhood in Minsk’s Nemiga district and preservation of an ancient castle that is now home to the Diocesan Administration. Filaret is an important figure in Church revival and the history of Belarusian state formation. The Honorary Patriarchal Exarch handed about 50 personal awards over to a museum. A small hall at Minsk Theological Academy represents his biography in documents, vestments and photos.